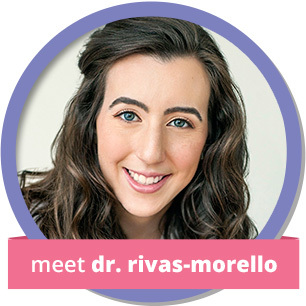 Dr. Rivas-Morello truly enjoys working with children. Her background and experience has prepared her to treat children of all ages and backgrounds- she would love to help your children keep their smiles healthy and happy. Read more about her before your first visit. Aetna • Alliance • Assurant • Anthem • Blue Cross/Blue Shield • CapitalCare • CareFirst • Cigna • Delta • DentaQuest • DenteMax • Dominion • GEHA • Guardian • Humana • Lincoln Insurance • Medicaid • MetLife • Principal • TRICARE • UnitedConcordia • UnitedHealthcare • all FSAs • & many more! 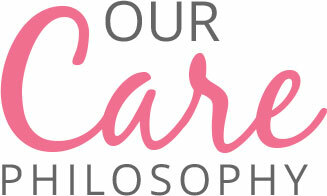 I believe my care philosophy is different. Your child comes first, always. I promise that their treatment will be conservative, gentle, beautiful, and affordable. I will put forth my heart and soul to make sure I am providing your family with everything they need. I believe you will feel how much I care the moment you step foot into our office. The goal of Dr. Chiara Rivas-Morello and the Pediatric Dentistry of One Loudoun team is to provide high-quality pediatric dental care to families in Ashburn, Leesburg, and Brambleton, VA in an inviting, friendly, and comfortable environment. We seek to educate our patients and parents on the importance of prevention of dental decay and disease, and strive to keep our kids cavity-free. We believe in the importance of treating all our patients as if they were our own family and are confident in our ability to them with the care and expertise they deserve. From routine exams and cleanings to restorative treatments and even orthodontics, the dental care we provide is tailored to the unique needs of growing children and adolescents. We also offer nitrous oxide and/or sedation as needed to limit anxiety for patients in need of a little extra TLC. We understand that every child is different and has a unique set of requirements for a positive experience. We will customize your child’s visits to suit his or her individual personality and needs. We also invite parents to participate in their child’s oral health, so parents are always welcome in the treatment areas. Your concerns are our concerns, and we promise to listen to and address your needs. Start your child on the path to lifelong oral health. Contact our Ashburn dental office to schedule an appointment with Dr. Rivas-Morello and our team today!